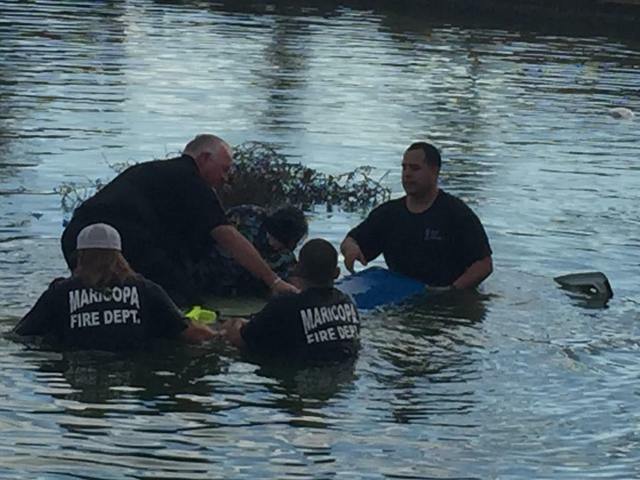 MARICOPA, AZ – A Maricopa man is being called a hero after he jumped into a lake to help firefighters and police rescue two women who were trapped inside a submerged van. 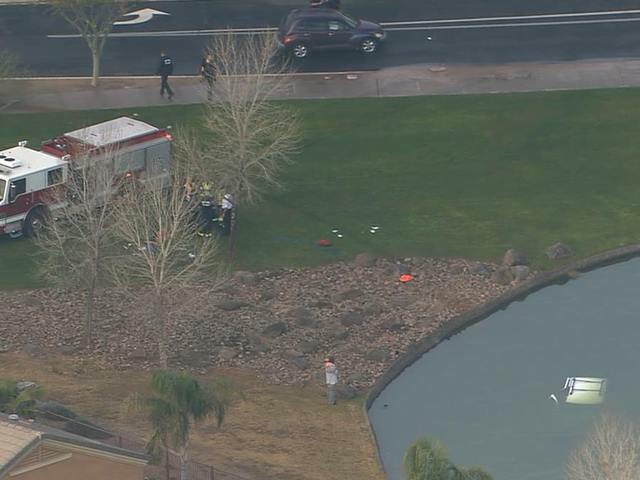 First responders were called to Honeycutt Road and Rancho mirage Boulevard in Maricopa after a Chevy Venture van was found underneath the water in a lake. Eric Schafroth, a volunteer firefighter, was driving down the road with his wife and 4-year-old daughter when he noticed the white van taking on more water. “When I first pulled up, my wife was like ‘What are you going to do? What are you going to do?’” he said. He did not hesitate and jumped in the water to assist the first responders. 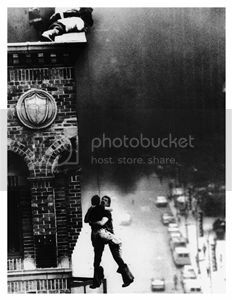 One of the women was able to escape right away. The other was trapped in the vehicle beneath the water for at least 10 minutes. Ricardo Alvarado, spokesman for Maricopa police, said the two women were transported to a local hospital and are alive. Specifics on their conditions were not released. Police identified the two women as 59-year-old Bernadette Lopez and her stepdaughter, 46-year-old Eileen Brown. Authorities are still investigating how that vehicle ended up in the water.